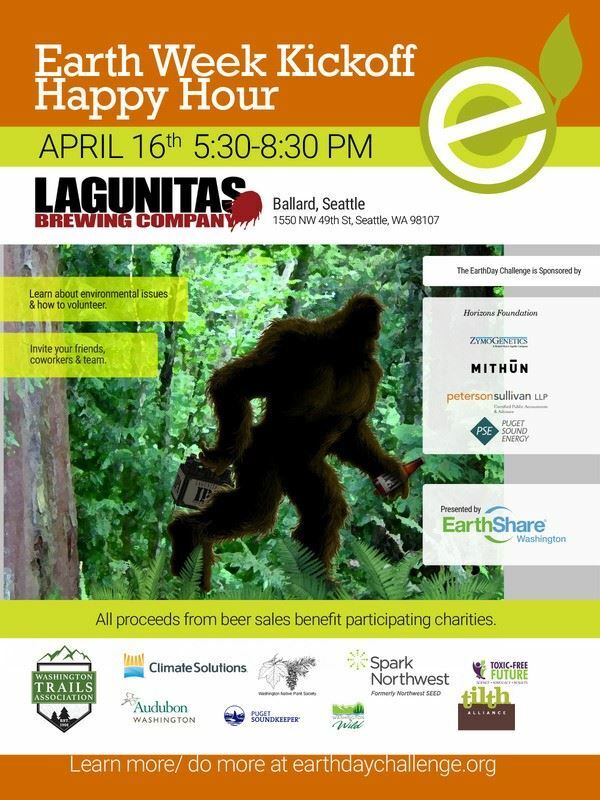 Our friends at EarthShare Washington are hosting an Earth Week Kickoff Happy Hour on April 16 at 5:30pm at the Lagunitas tap room in Ballard (Seattle). The happy hour will showcase EarthShare's member conservation charities and the volunteer opportunities that they have coming up in the spring. All proceeds from beer sales will benefit the groups taking part. There will be 10 environmental charities and their representatives, and food and prizes at the event.